Most households in the Netherlands use natural gas and electricity to fulfil their energy needs. This energy is almost entirely derived from fossil fuels. On average, a household uses 1600 m3 of natural gas and 3500 kWh of electricity per year, which costs about 1750 euro. Energy prices have soared by about 85 percent between 2000 and 2010. This increase is expected to continue. Also, the use of fossil fuels is detrimental to global climate and local air quality. There are thus good reasons to make homes more energy efficient, both for the environment and for cost control. This document is made for (future) home owners and construction professionals that are interested in very energy efficient construction and renovation. The first half of the publication expressly targets the home owner, the second half focuses more on the needs of construction professionals. The first part is more exploratory in nature and shows a number of strategies for energy neutral living. These strategies are further developed and modelled in the more technical second part. With this publication we portray what it means for a house to be ‘energy neutral’. This means that a house produces as much energy in the immediate surroundings of the home as it uses within that same perimeter. This is a significant step beyond ‘energy efficient’. One of the example illustrations in the book House of Energy, the high tech variant. 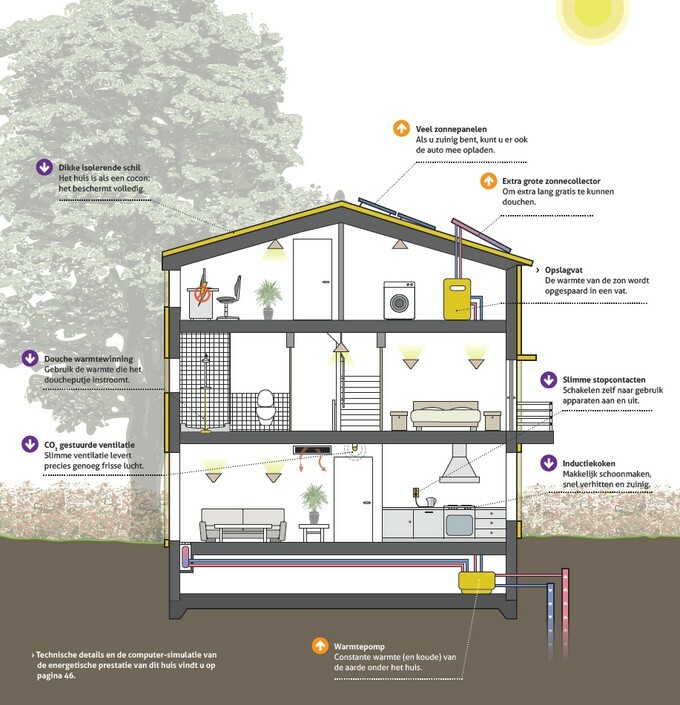 An energy neutral home offers many opportunities to radically improve living conditions in the home. Both today and in the long term. Certainly, it is more difficult to build an energy neutral home than it is to build a standard home, mostly because only very few people are experienced in this new field. In addition, a poorly executed energy enutral home may negatively affect quality of housing, which we'd like to help prevent. That is the reason for this publication. 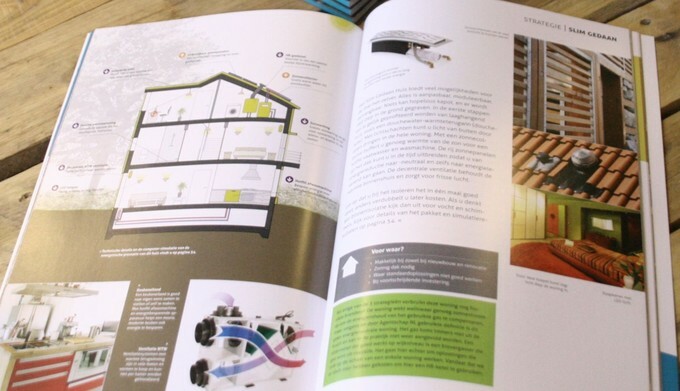 We hope it contributes to more insight and interest in energy neutral building and renovation. 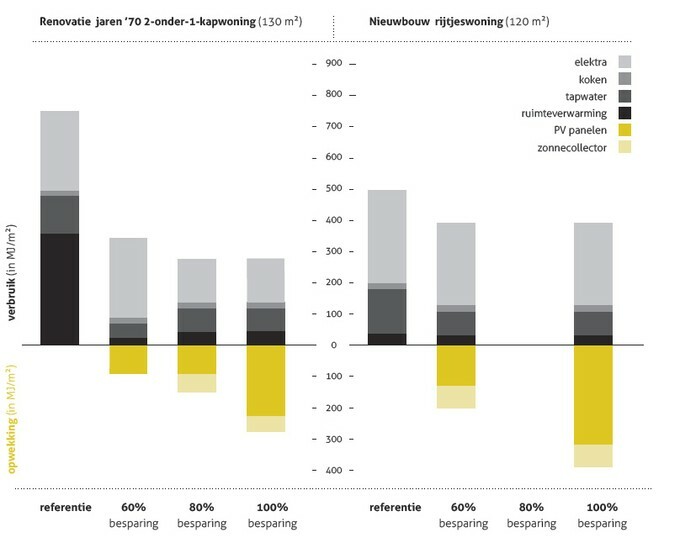 Een voorbeeld van de energetische berekeningen in het boek voor nieuwbouw en renovatie. Want to know more? Download the full project book below. 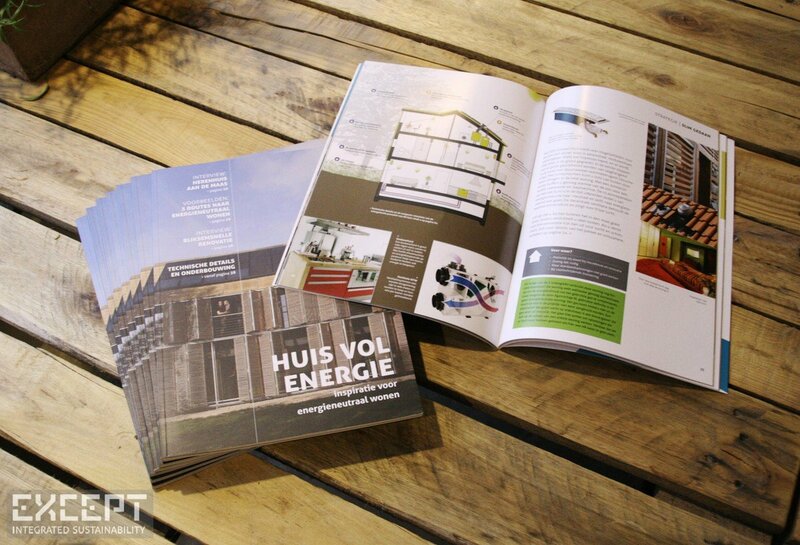 Inspiration book for energy neutral living, with interviews, examples and technical references. 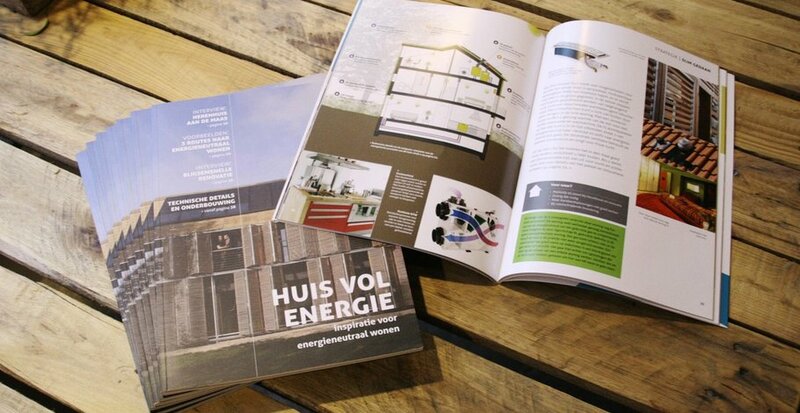 Sustainable Building Magazine 'Duurzaamgebouwd' blogs about the House of Energy book. House of Energy now for sale in the Bol.com webshop.